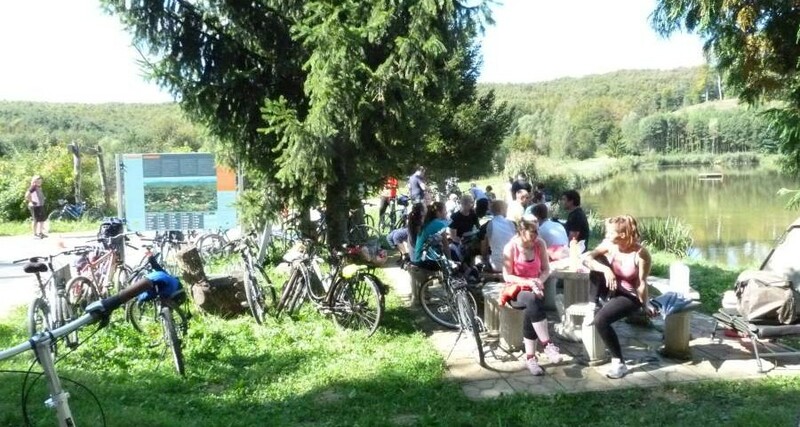 On Sunday, 21 September 2014, the second of several planned bicycle tours was held as part of the EU project “By Bicycle from Balaton to the Adriatic.” After registration of the participants in the park on the main square – the Square of J.J. Strossmayer – the column of bicyclists led by the organizers from the Križevci Association of Bicyclists started off on a route from Križevci to Lake Čabraji, 11 kilometres in one direction. At the destination many activities were organized for the youngest participants, such as driving skill in cooperation with the Auto Moto Club of Križevci and sports and amusement attractions for all participants: orientation movement, Frisbee, badminton and a variety of games. This bicycle tour drew more than 110 participants.